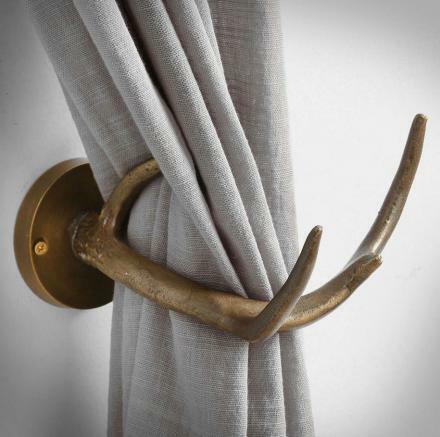 The antler curtain tiebacks are a set of artificial deer antlers that are meant to hold back your curtains when you have them open, and are perfect for a cabin, part of a rustic decor to your home, or maybe you just really like hunting and they would go great with all the dead animals that are suspended from your walls. 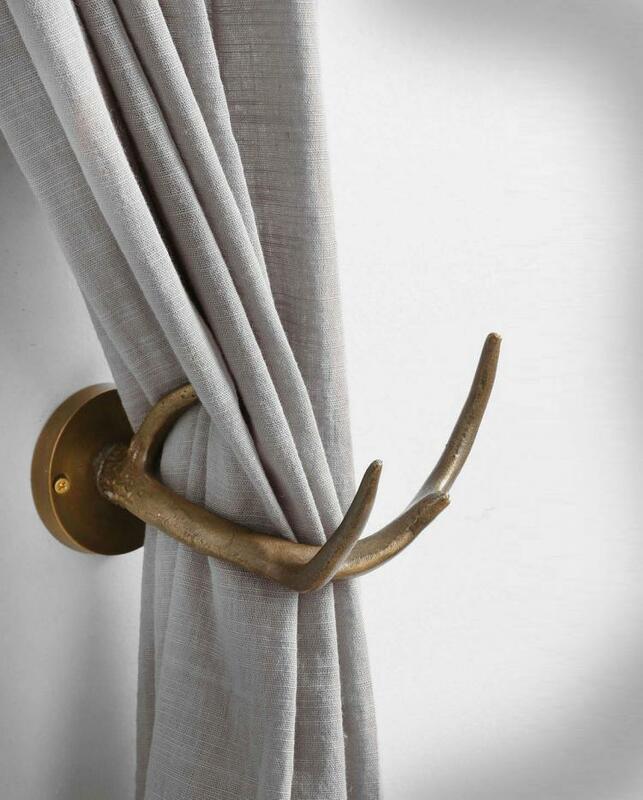 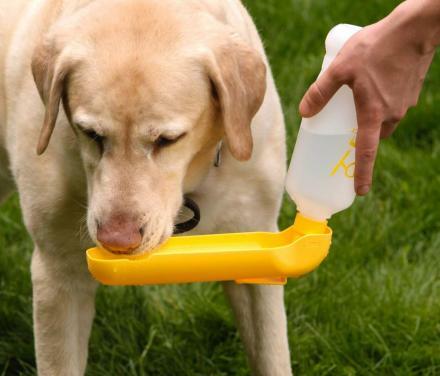 No longer will you have to use some boring metal bar to hold your curtains open for you, this (artificial) 4 point bucks antler will do the job while it woos your guests and angers your PETA affiliated friends. 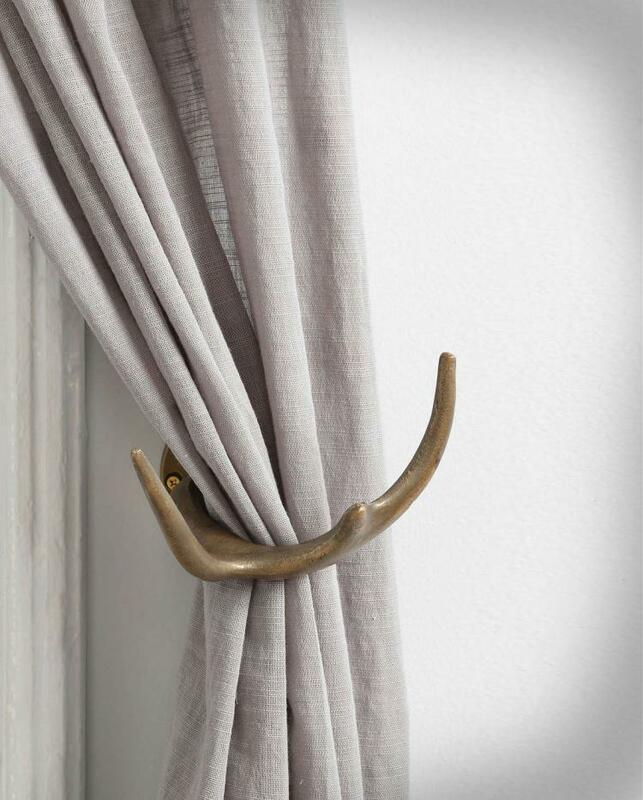 The antler curtain tiebacks are made from aluminum with a bronze finish, are sold individually for $16 or you can buy a set for $20, are imported, and each one measures 8.5 inches long x 6 inches in height.